Bipartisan Report Tallies High Toll on Economy From Global Warming – NYTimes.com. via Bipartisan Report Tallies High Toll on Economy From Global Warming – NYTimes.com. More than a million homes and businesses along the nation’s coasts could flood repeatedly before ultimately being destroyed. Entire states in the Southeast and the Corn Belt may lose much of their agriculture as farming shifts northward in a warming world. Heat and humidity will probably grow so intense that spending time outside will become physically dangerous, throwing industries like construction and tourism into turmoil. That is a picture of what may happen to the United States economy in a world of unchecked global warming, according to a major new report released Tuesday by a coalition of senior political and economic figures from the left, right and center, including three Treasury secretaries stretching back to the Nixon administration. Where Can I Get More Training? | Green Infrastructure | US EPA. EPA is pleased to announce a brand-new webcast series on implementing green infrastructure. This page provides information on the 2014 webcast series, as well as links to archived webcasts and a summary of certification programs. To be added to a mailing list for additional training opportunities, please send an email to join-greenstream@lists.epa.gov. via Rebranding Climate Change as a Public Health Issue | TIME.com. 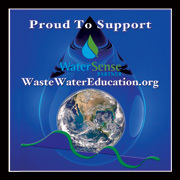 What to Plant | WaterSense | US EPA. The United States has many different climate zones and topographic and geographic features. Each state and even areas within states differ in their ability to support different plant species without the need for supplemental water and fertilizers. The following plant lists will help you identify plants appropriate for your location. When designing your landscape for water-efficiency, be sure to choose plants that are defined as low water use or drought tolerant for your area. These plant species will be able to survive in your climate with minimal, if any, need for supplemental watering. See these simple tips for water-efficient landscaping for more ideas on lowering water use in your yard.